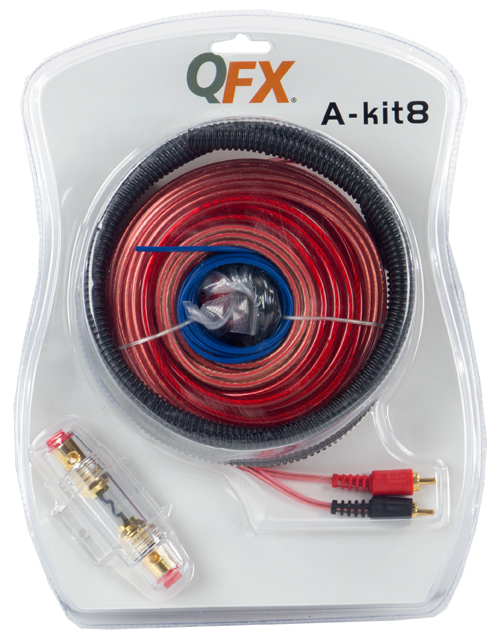 The A-Kit8 1300 Watt Complete Amplifier Hookup Kit has a little bit of everything and provides great power and durability for all of your car audio installation needs The package includes flexible cables that allow you to maneuver through tight spots, a turn on wire, several terminals, and much, much more. If you're looking for a quality buy at a great price, this is it! 2 Heavy Duty Ring Terminals, 8Ga.ID;5/16"